Message: Thought you might be interested in this 2012 Audi A8. PACE AUTO HAS SOME OF THE LEADING AUTO LENDERS AVAILABLE, WITH RATES AS LOW AS 2.49% AND UP TO 75 MONTHS FINANCING WITH APPROVED CREDIT. ASK ONE OF OUR SALES ASSOCIATES HOW WE CAN HELP YOU TAKE ADVANTAGE OF THESE INCREDIBLE LOW RATES TODAY. COME EXPERIENCE A TOTALLY UNIQUE WAY OF PURCHASING YOUR NEXT AUTOMOBILE! 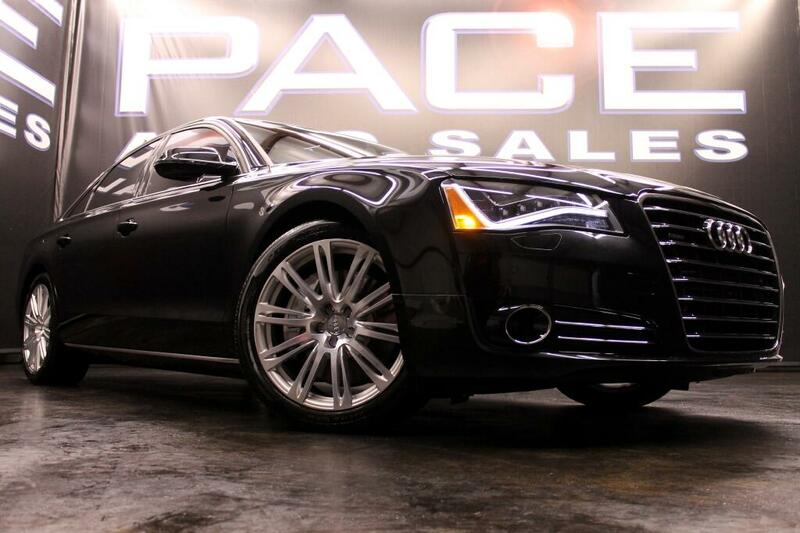 WE HERE AT PACE HAVE SET OUR DEALERSHIP APART FROM THE REST BY OFFERING A FRIENDLY, LOW PRESSURE SALES ENVIRONMENT. OUR ON-SITE SERVICE FACILITY STAFF CONSIST OF FULL-TIME MECHANICS AND DETAIL TECHNICIANS TO MAKE SURE EVERY VEHICLE IS THE BEST OF THE BEST. OUR ASE CERTIFIED TECHNICIAN PERFORMS AN INSPECTION ON EVERY VEHICLE BEFORE IT ENTERS OUR DETAIL FACILITY. PACE IS ALSO A CERTIFIED CARFAX DEALER THAT MAKES ALL CARFAX REPORTS AVAILABLE ON OUR WEBSITE. JUST CLICK THE CARFAX SYMBOL TODAY FOR A COMPLETE REPORT! TOO COMPLETE YOUR CAR BUYING EXPERIENCE, EVERY VEHICLE SOLD LEAVES WITH A FULL TANK OF GAS!!!! REST ASSURED THAT WHEN YOU VISIT PACE, OUR DEDICATED STAFF IS HERE TO MEET ALL OF YOUR NEEDS. COME EXPERENCE THE PACE DIFFERENCE, WE LOOK FORWARD TO YOUR VISIT!